Colchester General Hospital Chief Executive Nick Hulme has apologised after the hospital failed to meet targets for Accident and Emergency waiting times. The failings were highlighted in June when Colchester Hospital only managed to see 82.3% of A&E patients within a four hour wait time, missing the NHS national target of 95%. Due to the Hospital Trust missing these targets they have been made aware that they will now be monitored by a regional team from NHS England to ensure waiting times do not increase. During a trust board meeting on Monday (1st August) Nick Hulme said ““We are in the spotlight and indeed we should be. We can’t have the 90 patients yesterday who were promised to be seen in four hours and they weren’t. 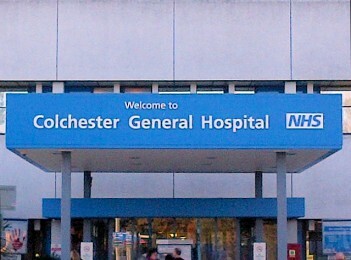 Colchester General Hospital was put into special measures by the Care Quality Commission (CQC) back in July 2013 and was once again rated inadequate following an inspection in July 2016. The hospital has since formed a partnership with Ipswich Hospital Trust to try and improve standards.